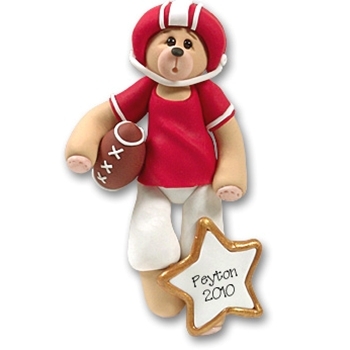 This charming little Belly Bear Football Player, is ready to lead his team to victory! He is one of our sports ornaments and is beautifully detailed as are all of our ornaments. This ornament may be personalized on the star. This is a great personalized Christmas ornament for any football player or football fan on your list.